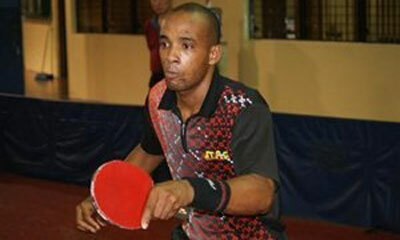 HAVANA, Cuba, Mar 10 (acn) Cuba said goodbye to the Yucatan International Open Table Tennis Tournament, in Mexico, with three silver medals thanks to the performances of Livan Martinez and Yohan Mora. With two of the three medals achieved, Martinez was the most outstanding player of the Cuban team, which payroll was also made up by the experienced Lisi Castillo, local media reported. The promising player from Havana was first defeated in the final of the Under-21 category by Chilean Gustavo Gómez, while the local Ricardo Villa won the bronze medal. Moments later, Martínez reached another silver medal in the men’s double final, accompanied by Mora, after being beaten 2-4 by the Chilean duo Gómez-Manuel Moya, while the hosts Juan Pablo Galván and Jude Okoh finished third. Thus, the pupils of Leonel Pomares successfully completed their participation in the event, which served primarily as training for three of the Cuban national shortlisted, whose main objective is focused on the Pan American Games in Toronto, Canada, from next July 10 to 26.